Loog Guitars | Happy Up Inc. Guitar Heroes Get Started Young! Loog Guitars aren’t like any student guitars on the market. 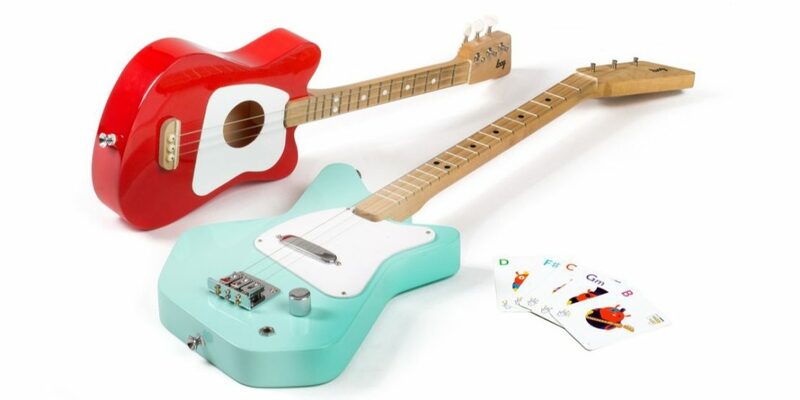 Most guitars for children are either toys that won't hold their tuning or extremely scaled down adult instruments. The scaled down guitars are bulky and hard for little hands to manage. Loog has solved that problem. Their guitars boast only three strings! With these three strings, kids (and their grownups) will learn the basics really quickly. Small hands will be able to form chords and learn progressions without the usual frustrations. In no time, they'll be able to play entire songs. The truly brilliant thing: Everything they lean on a Loog transfers easily to a standard six-string guitar. To go electric is to join a tribe of notable musicians. These artists broke boundaries and formed the basis for today's popular music. Electric guitars are iconic. 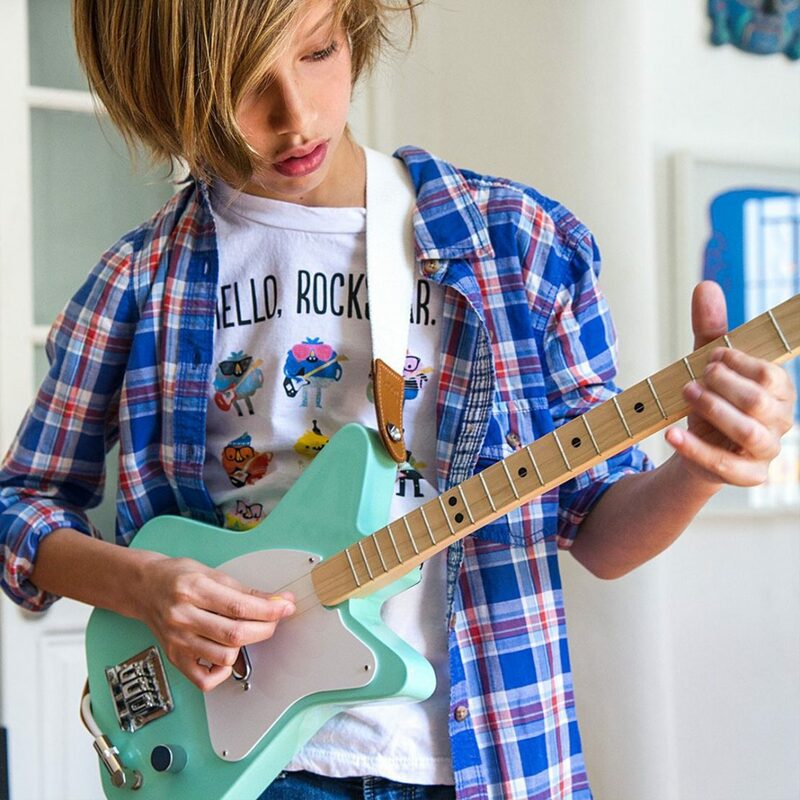 Loog's guitar will inspire a new generation! Length: 29.2" Width: 8.8" Depth: 2.6"
Easy to play nylon strings combined with the small neck and body make the Loog Mini Acoustic a perfect way to start playing guitar. Length: 22.2" Width: 6.9" Depth: 2.3"
Each guitar comes with a set of chord cards. 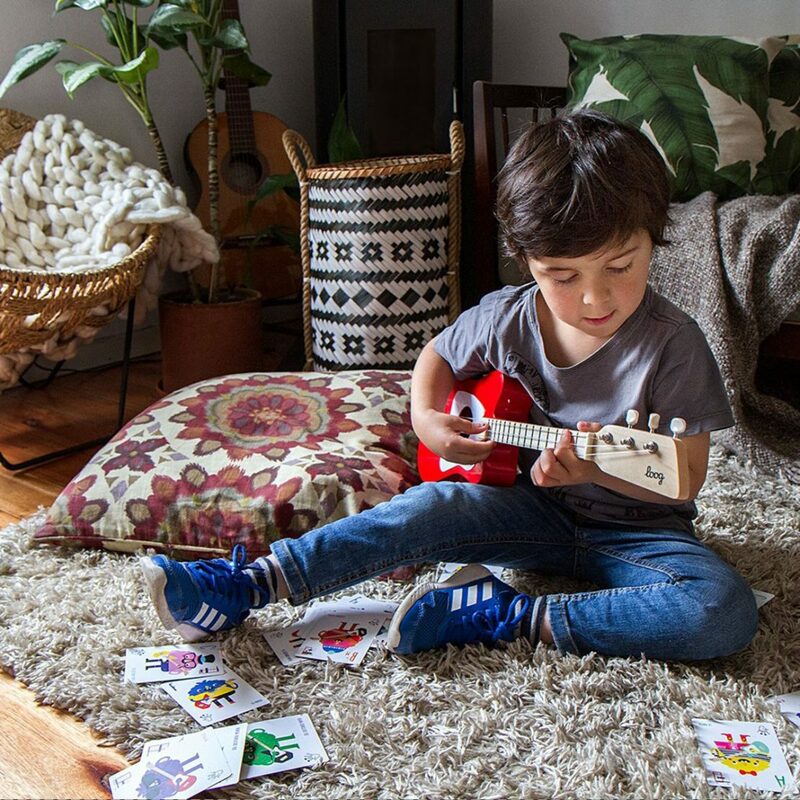 Colorful and friendly creatures guide you and your child through forming chords, and how they translate to a standard 6-string guitar. Straps and Gig Bags also available.